It’s a bird, it’s a plane, no it’s Super GPS. 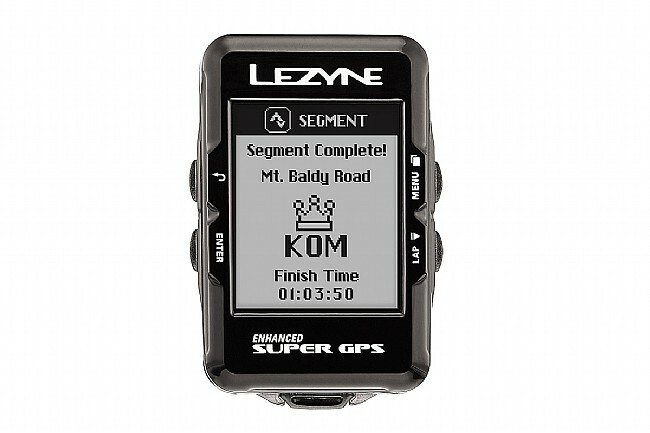 With the Super GPS, you just might feel like a speeding bullet as you go hunting for Strava Live segments. 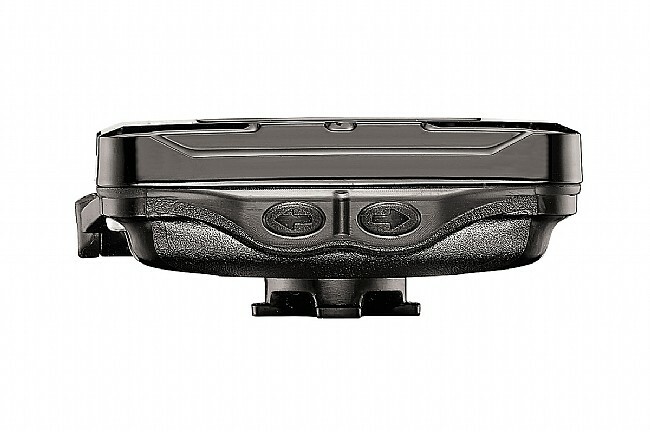 Featuring ANT+ and Bluetooth compatibility, GPS and Glonass connectivity and a brand new smartphone app make this a cycling computer to be reckoned with. The large backlit display is easy to read in all light levels, even the direct summer sun. With 24 hours of battery life on a single charge, this computer will keep you riding all day. 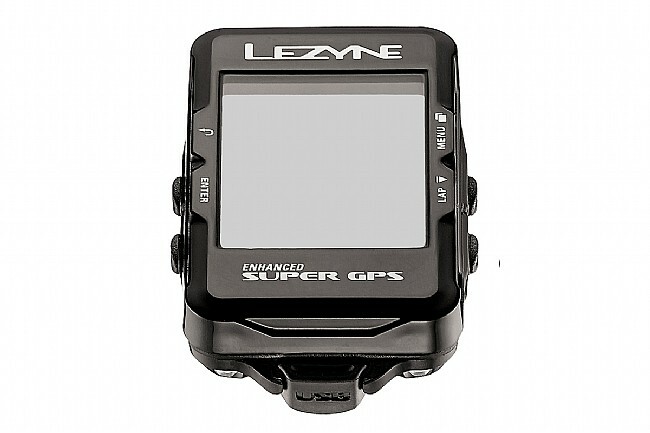 When you connect the computer to the Lezyne Ally app for your Android or iOS smartphone, it opens a whole new realm of features. Load up a premade route or create your own and follow the turn-by-turn navigation. Stay competitive while you track your performance with Strava Live segments. You can even push notifications from your phone to the device, though doesn’t that intrude on the serene escape that your bike ride offers you? At the heart of this computer is the GPS and Glonass connectivity. To aid in precision and remove GPS drift, two sensors are housed inside the body of the computer. A barometer measure barometric pressure to give precise elevations, while the accelerometer makes sure that your speed and distance readings are accurate. With Bluetooth and ANT+ connectivity, you can connect most training peripherals like power meters, heart rate monitors or cadence sensors. The backlit screen allows you to customize the data fields from the 19 different options, including the navigation and live segments mentioned above. GPS/Glonass connectivity supported by local readings. Bluetooth and ANT+ compatibility accepts most training peripherals. 22 hours of battery life. Live tracking and Strava Segments. Turn-by-turn navigation through Ally app. Includes charging cable and X-Lock standard mount. This beats most Garmins any day! Easy to use, easy to set up, scrolls at the right time to see your ride. You pick what you want on your screens and how many screens. This is the 2nd one for our family and by far the best! For the most part I like this GPS but the barometric altimeter does not work at all. Every ride the altitude change is not just off a little but so far off it is completely worthless, for example the unit reported 850 ft of climbing on a ride with 3800 ft of climbing. This happens on every ride. Everything else about this unit is good. The more secure mount and the forward mount accessory add on is great. The GPS accuracy seems good. This would be a great GPS if the altimeter worked even a little bit. 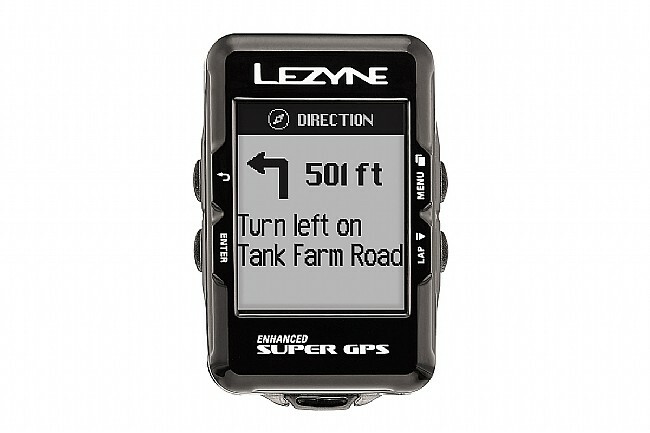 It is not a $500 Garmin, no color, no touchscreen..but for less than $150, you get GPS with breadcrumb (shows you where you've been) and turn by turn navigation (download TCX to phone, then load preride). You get bluetooth and Ant integration for power, HRM, speed, cadence, and shifting. When paired with your phone, you get phone call and email notifications, Strava and Training Peaks integration, ability to set most features from the phone. You get 5 scrollable screens of data with 2 to 5 lines of data each. The maps it provides is rudimentary, especially on black&white, but I don't require mapped navigation. I use the turn-by-turn for club rides and charity rallies and it works great. This is my second Lezyne after using Cateye for 15 years. I watched too many fumble with their Garmins...too much trouble for the money (no offense Garmin, I have no first hand experience). 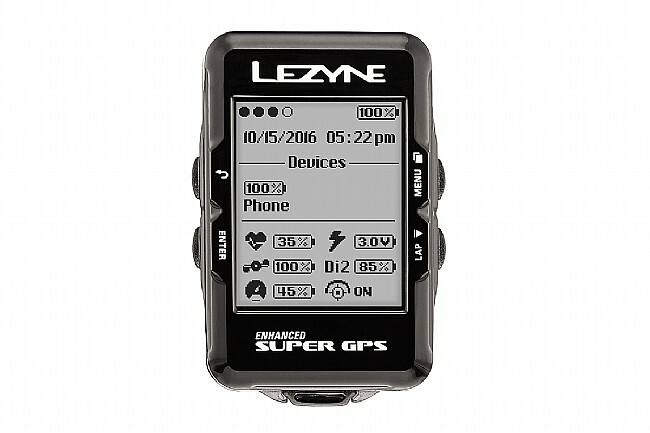 My Lezyne Power GPS (Y9) is still awesome, but my Super GPS is so much more so. It is my opinion that Lezyne should include the out-front mount, and the mount needs a bolt that better resists corrosion, but I can replace it, if I ever fail to put a bit of grease on it, I guess. I am a bit surprised I don't see more of these on the road. Check out the features online, then buy one. Im really impressed with this unit. It has all the functions I require- more than I will need or use, and is about half the price of a similar competitor. No, its not touch screen, but really, how much do you switch screens anyway? All the data I need is on one screen for easy viewing. The phone app is very good and increases functionality. I like how it syncs automatically with Strava at the end of a ride. Another real plus is the battery life. I purchased the Lezyne out front mount also, and it really puts the unit in a good position.